ORNAMENTAL ALUMINUM FENCING is certainly one of the most elegant looking fences in the market today. The fact that aluminum fencing is highly durable and easy to maintain only increases its appeal. 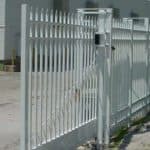 Good thing, we offer aluminum fence so you don’t have to look further if you need this type of fencing in your house or business in Florida. 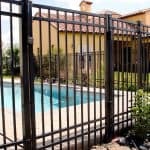 Aluminum fencing has surged in popularity in recent years because it has the look of wrought iron with none of the disadvantages. Unlike wrought iron, aluminum by its nature will not corrode or oxidize even if you don’t repaint it regularly, making it especially advantageous for installations near the salt water coast. Further, aluminum fencing is typically powder coated rather than liquid painted. Powder coating is when dry powder that is electro-statically charged adheres to the surface of the fence and is then baked on as an enamel finish. 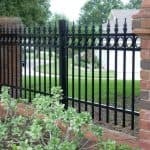 Ornamental aluminum typically has very long manufacturer warranties because it really is a problem free fence. Not all powder coatings are created equal – our aluminum fence products come standard with the highest quality powder coating, and our SolarShield technology ensures your fence will look great for many years to come! Also, there is almost no maintenance required for our aluminum fencing and it comes standard with a manufacturer’s Lifetime Transferable Warranty. 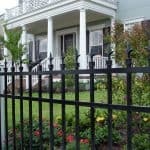 Apart from keeping your property protected, ornamental aluminum fencing adds a tailored look to your house or commercial property’s exteriors. It makes your place appear well-kept and stylish, making your landscape look like it’s worth thousands of dollars even if it’s not. From our range of designs of aluminum fencing, you can choose a style that fits the overall design of your property. Ornamental aluminum fencing is ideal for almost all types of properties. Moreover, it comes in three typical grades: Residential, Commercial, and Industrial. As you go up in grade the outside diameter of the material gets larger as does the thickness of the aluminum. We offer all three types of aluminum fencing and we would be happy to give you a proposal on your aluminum fence job. On top of manufacturing ornamental aluminum fences, we also install them. 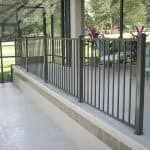 We have a team of skilled installers equipped with knowledge and experience in working with this aluminum fencing that can provide superior installation services. They are trained to complete the job in an efficient and timely manner, so you can enjoy the benefits of your new aluminum fences right away. More importantly, you can expect a superb job from them as we maintain high standards when it comes to our installations. As a matter of fact, we provide a three-year warranty with installations alone, as we stand behind the quality of our work. 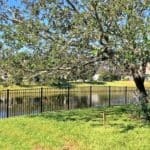 We offer our aluminum fencing throughout the state of Florida. Check the list of our service locations today. Or, do your research and give us a call to talk to one of our sales staff for more information. Looking for a quality aluminum fence installation or supply? 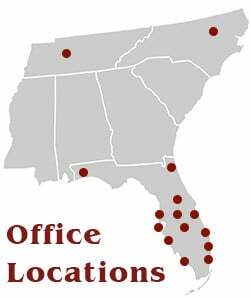 Check out our newest locations in Raleigh, NC, Nashville, TN, and Pensacola, FL.